For our brand new Stereo Hybrid 120 SL model we took everything we know about building high performance e-MTBs, and combined it with our engineers' experience in carbon frame construction. The result?  A uniquely light, sleek and lively hybrid full suspension bike that will redefine your expectations. Using Bosch's in-tube technology to incorporate the battery and motor into the down tube, we were able to reduce weight, improve handling and boost comfort levels even further than before. Combined with a spec sheet that includes a Fox 34 fork with matching shock, plus Shimano's peerless XT gears and brakes for the ultimate in performance and reliability, it makes for a bike that will take you further - and faster - than you thought possible.